A Barnsley Historian's View: Re-occurrence of a lifelong knee problem not helping my mobility! Re-occurrence of a lifelong knee problem not helping my mobility! 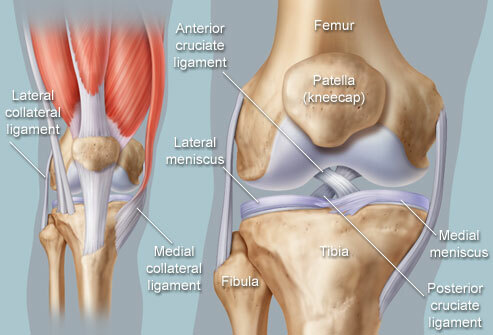 At approximately 7am on Friday morning I turned over in bed and my knee popped out of joint. This post is by way of recording that fact and is also a musing upon why this should have started happening to me again so frequently. Since I was a small child my knees and ankles have been very unstable. I can clearly remember sitting cross legged, as children do so easily, and my knees popping in and out. The image in the background is the living room of first house I ever knew, in West Rainton, County Durham, so this memory dates back to me being less than seven years old, as we moved to Staffordshire after that. I seemed to have had continually have 'sprained' ankles and knees, I became very good at applying beautiful herringbone patterned support bandages to my ankles. Probably due to my asthma in the summer - we now know I was allergic to grass and tree pollen - and my bronchitis in the winter I didn't 'play out' much, but I can remember sitting with both ankles strapped up jealously listening to everyone else on our street playing some loud game. My childhood was dogged with asthma attacks and discovering more and more about my allergies. On being told I was allergic to eggs my mum had the idea of writing to various manufacturers to ask what was in their products, we still have a file of the letters they wrote in reply. Marmite, for example, refused to tell us what their 'secret ingredient' was - these were the days long before compulsory ingredient lists on foods. 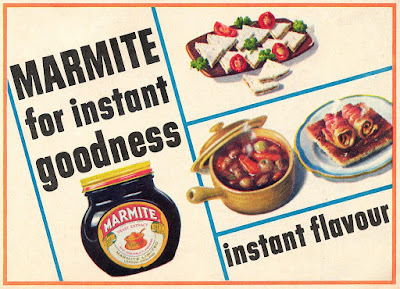 I am able to eat Marmite quite happily these days, so whatever it was that used to make my skin itchy and shorten my breathing back in the early 1960s must have been removed from their ingredient list at some point. I can't clearly remember a serious knee incident until I was at secondary school. I was playing netball ... I was quite hopeless at this game being so much shorter than the other girls in my year. I turned and stretched for the ball and my knee just crunched. My memories are a bit vague for the next few hours, but the thing that sticks in my mind is that by the time my mum had got me, lying on the back seat of her little Mini and in huge amounts of pain, to the local hospital in Stafford about nine miles away, my knee had apparently put itself back in place and the doctors could find nothing wrong. I think this incident has coloured the way I handle all subsequent incidents of my knee problems. I continued to have joint problems throughout my time at secondary school - try limping from class to class on two sprained ankles! But to be honest they were overshadowed by my asthma. 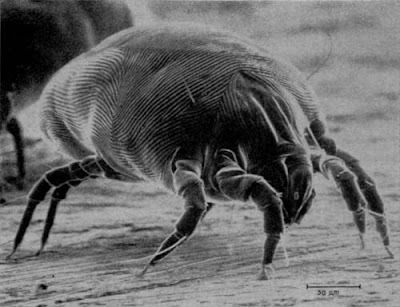 At some point the doctors had discovered I was allergic to house dust and dust mites, which meant that all my bedding had to be replaced. No more feather pillows, no wool blankets and no candlewick bedspread. This was in the very early days of duvets, but I think that is what my parents had to buy for me as it was the only non-fluffy bedding available. I also had to get rid of anything in my bedroom that would become dusty, or that would prevent easy dusting (with a damp duster to keep down the dust). I still have a shoebox full of Whimsies, little collectible Wade ornaments of pets and zoo animals, that I had to pack away because they would just have made dusting my bookshelves far too fiddly a job. They are all in their original boxes - maybe they'll be worth something one day! After we moved north and I left home to live in first Doncaster and then Sheffield my asthma continued to be a problem until one memorable winter, probably 1983, when I was admitted to the Northern General hospital after an asthma attack that had frightened my new flat mates to the extent that they called an ambulance. The follow up appointments led to me being prescribed a drug that I still take which controls my asthma wonderfully. Thank goodness! I can remember problems with my ankles and knees throughout that period, but nothing that couldn't be sorted by a support bandage and a few days with my foot up. It was years later that a doctor, surprised by an odd movement in my left ankle, sent me to see a consultant at the Hallamshire. I was subjected to a stress x-ray of the ankle - not recommended! Basically the doctor, wearing a natty lead jacket, pulls on your foot while the radiographer takes the picture. Very painful! The consultant theorised that all my joints are very weak and over flexible. He even demonstrated on my other ankle while I was still under the anaesthetic (a spinal block, as I'd asked if I could stay awake and given my asthma they were very glad to do that) by bending it almost to 90 degrees. *Shudder* One possible cause of this is the high doses of steroids I was given as a child to help with my asthma. So you win some and you lose some. I can only imagine that my joint problems are becoming more frequent now because my general health is deteriorating and my muscle tone, never wonderful, is now much, much less due to days and days of not being able to get out of the house. Maybe the yoga I started a few weeks ago will help. My friends will be happy to hear that at around 1am this morning - I was lying quite still in bed - there was an audible crunch and my knee now appears to be realigned correctly, unfortunately the strain of the last two days means that the pain is still there and I now have it supported in the hopes of preventing it from popping out of joint again while the muscles heal. I will be hobbling around for a few days yet, being very careful when sitting and turning. But, hey, that's no different to usual is it? If you got this far, thanks for reading. And thanks to the OH for being very patient with me this weekend and apologies to my mum for not being able to visit. We will catch up!